We are taking the opportunity to use today’s Meet Me on Monday to introduce you to one of our community partners, New Twang City. Jesse Howell, Bob Watson, Rod Millsap, Tom Cross, and Jeff Kern. 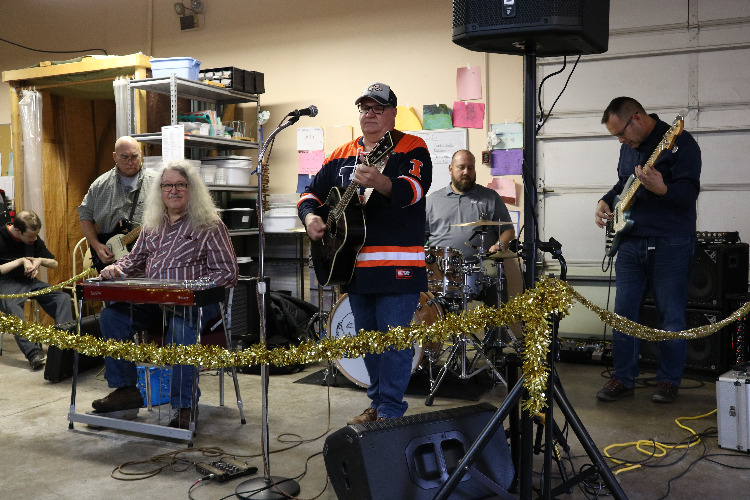 We don’t have the exact date, but to our estimation, for ten years, these guys have been performing live music at the Christmas party DSC hosts for the people who receive our services. We appreciate their generosity and support to DSC over the years!